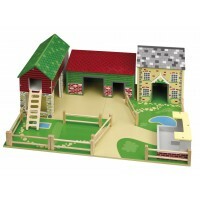 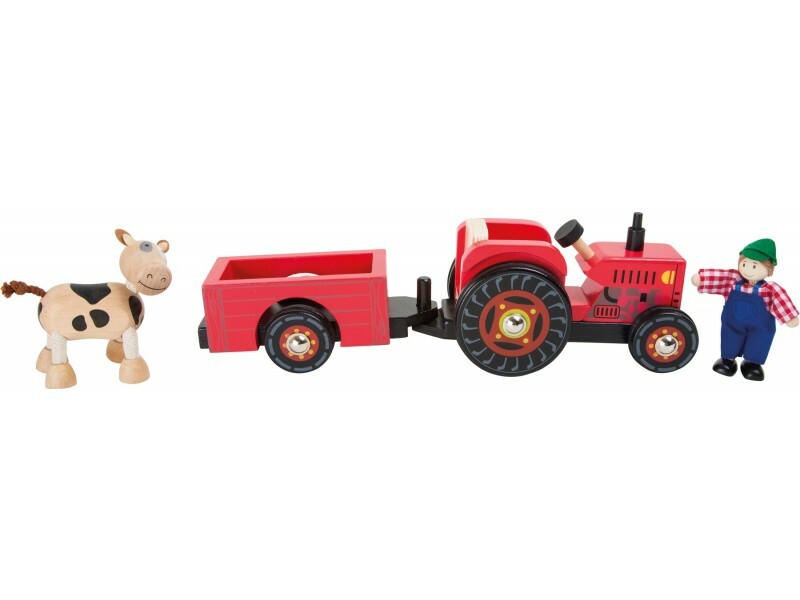 Farmer Fred has a fabulous shiny red tractor which comes with a detachable farm trailer and a cow. 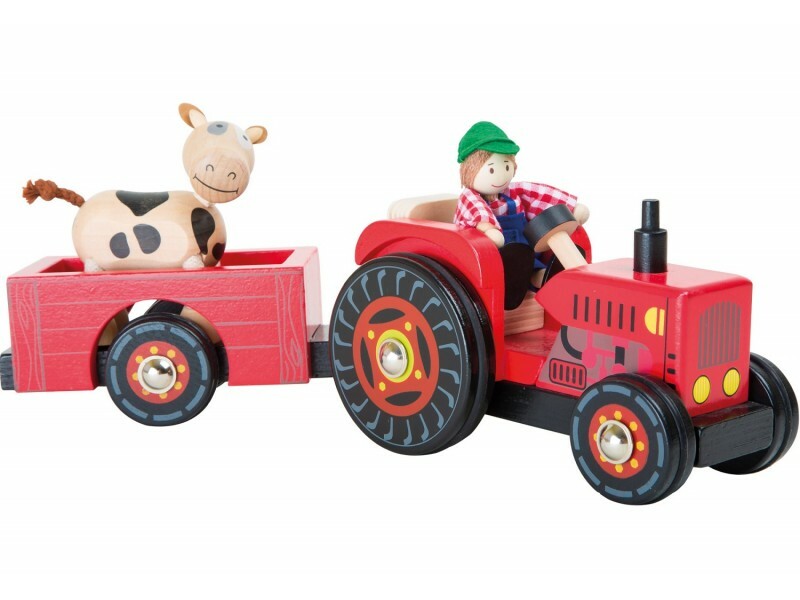 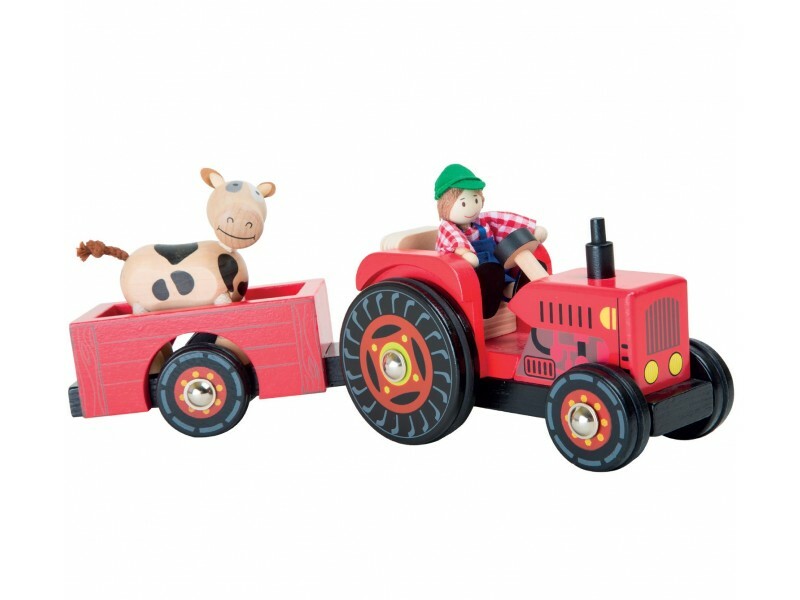 Children will enjoy this lovely toy tractor which is supplied with Fred the farmer and his cow who will happily drive his tractor around the farm for hours on end. 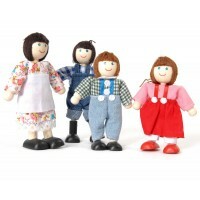 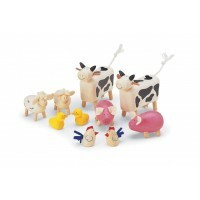 Fred and his cow are bendy dolls and can move their arms and legs. 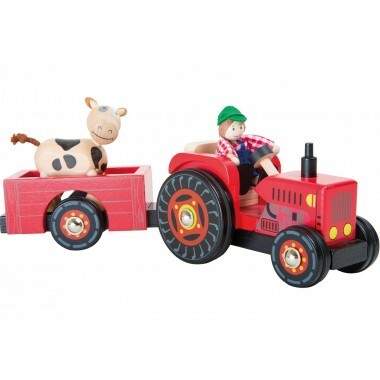 With its rubber tyres the tractor travels quietly over smooth surfaces.